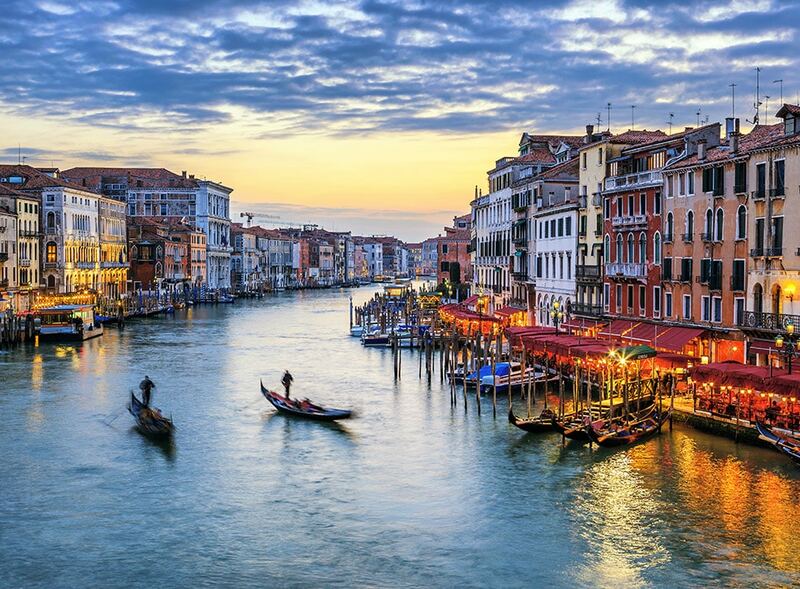 It’s hard to not get swept up in the romance and beauty of Venice, so we say why fight it? Let yourself be taken in by the city’s many charms as you stroll along the cobblestone streets, overarching bridges, and world-famous canals. And then plan on doing a little more walking. Consisting of more than 100 islands, Venice is Europe’s largest urban car-free area. So the only means for getting around (on dry land, at least) are your own two feet—unless, of course, you travel by water taxi or gondola. And let’s face it: If you don’t go on a gondola ride when you’re in Venice, you’ll never hear the end of it back home! And if you’re looking for a few more ideas while you’re in “The City of Water,” be sure to people watch in Piazza San Marco, sample Veneto wines, and shop for everything from Murano glass to swathes of silk. Bellissimo! 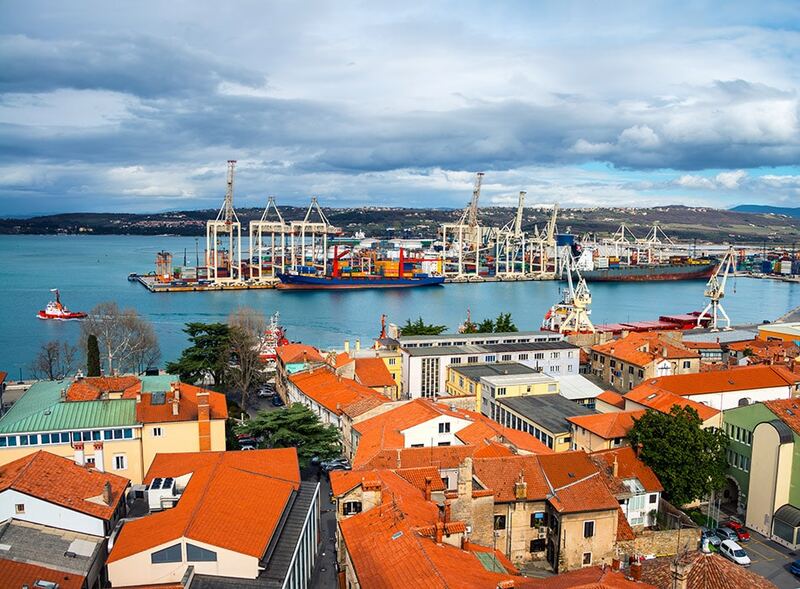 When you’re in Split, you might want to consider bringing a pocketful of breadcrumbs so you can find your way back to the ship. The warren-like streets and alleyways of this ancient walled city can be confusing to navigate, but hey, sometimes getting lost is half the fun! One place you have to find your way to, though, is the UNESCO World Heritage Site of Diocletian’s Palace, which dates back to the 4th century. It’s just one amazing part within the walls of a historical complex that also houses 12th century churches, medieval fortifications, and 15th century Gothic palaces. So let intuition be your guide as you spend the day meandering through the cobblestone streets, while discovering the many restaurants, cafés, and shops that are tucked away in every nook and cranny. Wander down to the water’s edge and stroll along the Riva, the spectacular white marble-esque promenade. 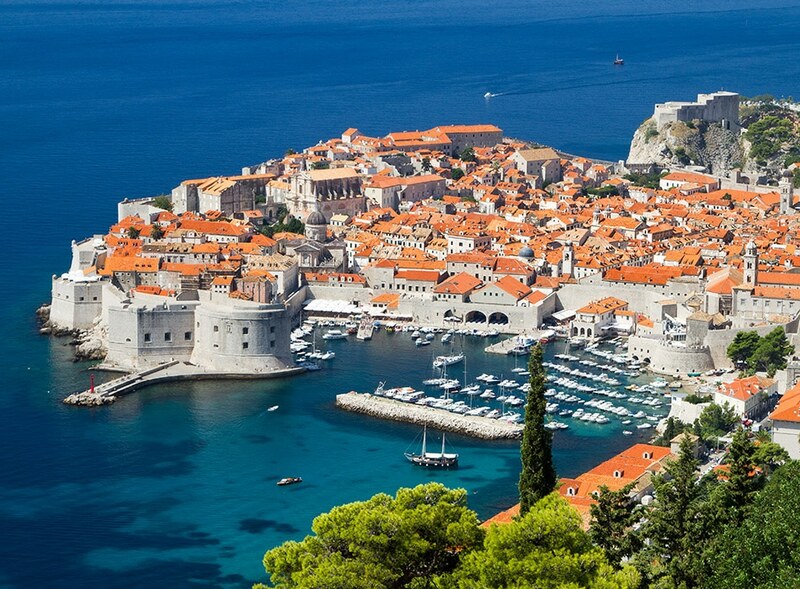 Dalmatians (the people, not the 101 variety) are extremely fashionable people and this is the place to see and be seen, so get ready to strut your stuff. And if you do lose your bearings amidst such an array of distractions, one of the friendly locals will be more than happy to point you in the right direction. George Bernard Shaw once said, “Those who seek paradise on Earth should come to Dubrovnik and find it.” We tend to agree. For in this UNESCO World Heritage Site, paradise is found behind the massive stonewalls that protect winding streets, charming squares, and red-roofed buildings dating back to the 7th century. Even the walls themselves are spectacular and a “must walk” along the top. Not only will you get wow-worthy photos, but you can also scout the pedestrian-only Old Town for the stalls you’ll want to visit on your next adventure: shopping. Look for shoes, leather, and traditional Konavle embroidery—and with a goldsmith trade that goes back to the 13th century, the quality and price of gold, coral, and filigree silver jewelry here is outstanding. After a little retail therapy, go to the Franciscan Monastery Museum, home to one of Europe’s oldest pharmacies where many of the lotions and potions are still made from ancient recipes. Take the cable car up to the top of Mount Srd, then relax at the end of the day with a glass of rakija. Zadar is a study in contrast. It’s a place where cobblestone streets lead to contemporary buildings, and where nature and technology flawlessly unite. Take the work of architect Nikola Bašić for example. He’s the mind behind two of Zadar’s most fascinating man-made attractions: The Sea Organ and the Greeting to the Sun. The former harnesses the power of the wind and the sea to make beautiful music, while the later collects the sun’s energy during the day to create a spectacular light show at night. But if you’re more into finding harmony created by good ol’ Mother Nature, the Croatian countryside is just a short drive away. The nearby Krka National Park and Plitvice National Park contain stunning natural wonders like cascades, waterfalls, canyons, lakes, and rare flora and fauna, not to mention an extremely wide variety of bird and animal species. Of course, life is really all about balance, so be sure to sample the local libation, Maraschino, while you’re here. Made from marasca cherries, distilleries in Zadar have been producing this traditional liqueur since the 16th century. Cheers, or as they say in Croatia, zivjeli to that!